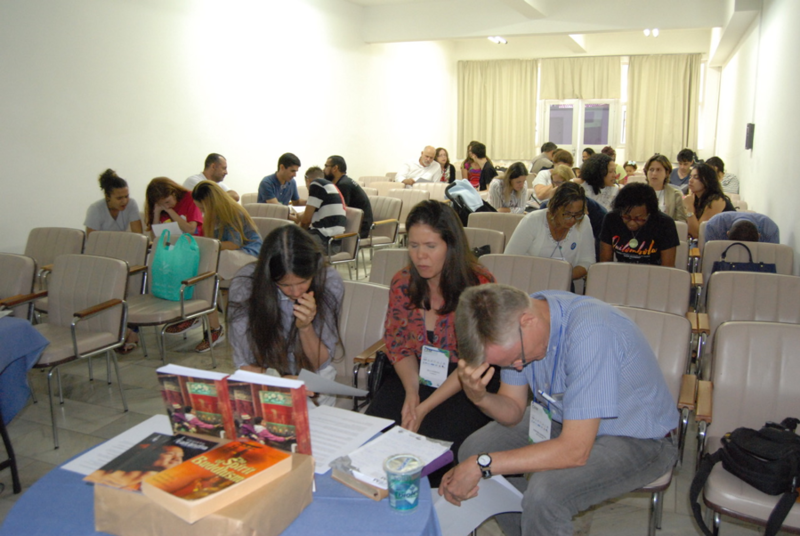 In Martureo we understand how important it is for Brazilian mission practitioners to carefully consider how they give witness to Christ and participate in his mission in all spheres of society. During 2017, while God continued to work on us, he also allowed us to participate in His Mission. With the support of people like you, we worked hard to support Brazilian mission practitioners and help them think carefully about the job that they do. We translated and published, Whose Promised Land? : The Continuing Crisis Over Israel and Palestine by Colin Chapman. 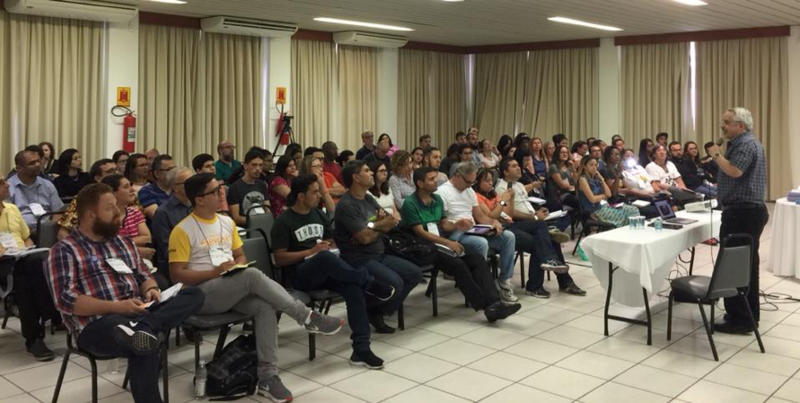 Our partnership with a Christian publisher (Ultimato) and a major seminary (Servo de Cristo in São Paulo) provided the platform for these efforts to make good missiology available in Portuguese. We helped at Vocare 2017 April 21-23 in Maringá. Vocare is an initiative by new generation Brazilian mission leaders, blessed and supported by AMTB—the Brazilian Cross-cultural Missions Association—to lead young people like themselves into engagement with the world in light of the gospel. The Martureo team (Katsue Takeda, Felipe Fulanetto, Tiago Gomides, Timothy Halls and Adriana Degaspari) participated actively, built connections and gave talks. 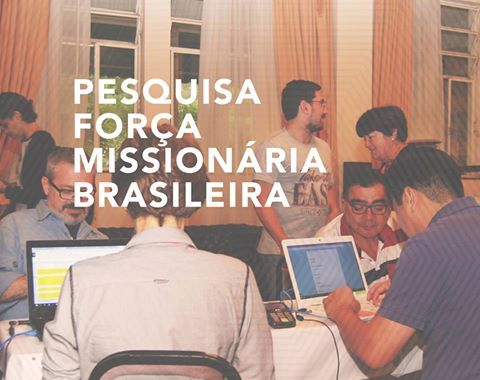 We published articles on www.martureo.com.br for leaders to think together about mission and for mission training programs all over the country. Representatives of the following organizations participated: MEAB, AME, Kairós, Interserve, M3, Sepal, Frontiers, Martureo, MIAF, Pioneers, JMM, JUVEP, Missão Antioquia, CEM, Betel Brasileiro, PMI, Avante and SIBIMt. Members of the advisory council of Martureo participated in the 2017 Brazilian Congress on Missions (CBM), the triennial gathering of the Brazilian Transcultural Missions Association (AMTB). 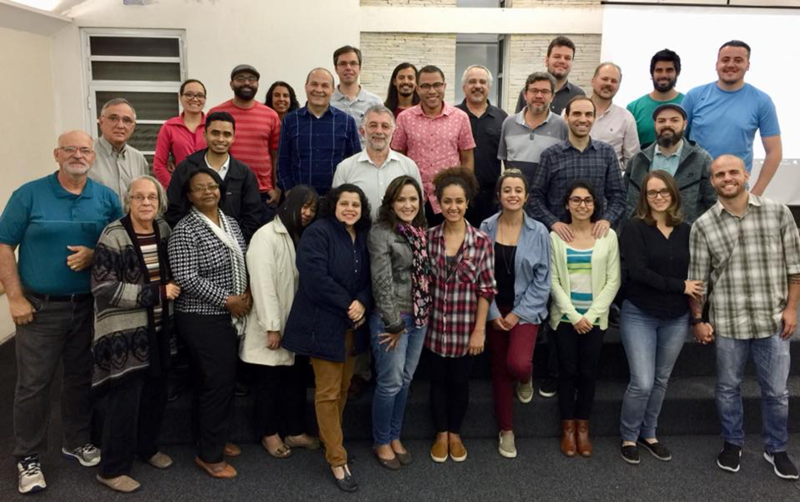 The Martureo team participated in the program and had many other opportunities to support leaders of the Brazilian missionary movement as they reflect on the meaning and practice of missions. From left to right: Adriana Nascimento Degaspari, Felipe Fulanetto, Mila Gomides with Sophia, Marcos Amado, Natália Verly, Timothy Halls and Katsue Takeda. (not pictured: Tiago Gomides and Paulo Humaitá). Above: Marcos Amado discusses realities, challenges and opportunities for the gospel in the Muslim World. Above: Mila Gomides leading seminar participants in prayer for Buddhists. AMTB 2017 Report on the Brazilian missions’ force: who, how many, and how do we work? 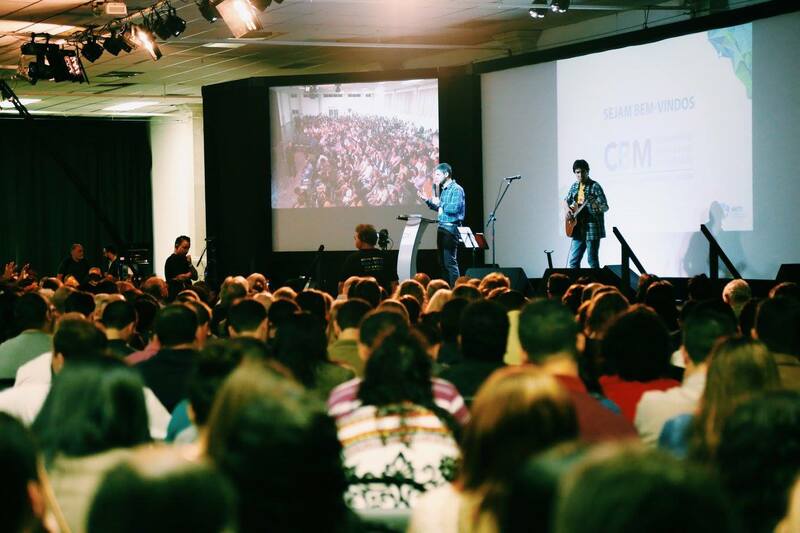 A report on the status of the Brazilian Missions Movement was released at CBM. The announcement that 15,000 Brazilians have been sent to live and proclaim the gospel in cross-cultural situations around the world, was a cause for gratitude. Brazilian missionaries serve in nearly every country of the globe. The report also sheds important light on the many Brazilian agencies that have emerged to support the sending and training process. Brazilians commemorated the 500th anniversary of the Reformation in October this year. The scope and spread of Protestant Christianity during first 500 years of the Protestant Reformation is stunning, as portrayed in this infographic. The resources you contribute are used to prepare missionaries and missiologists, to translate and publish books and articles, and to organize consultations among missionary leaders.